The patent, filed in the United States, where the process can cost thousands of dollars, describes several variations of a drink delivery drone. 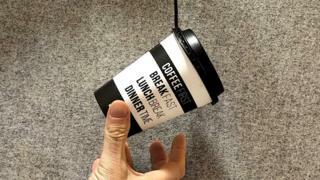 In one example, coffee is dispensed from the drone directly into a worker’s mug. However, it has more recently turned its attention to software and artificial intelligence, developing products such as an “arguing machine“.